Why do you have every hardware hack enabled? That's going to end up decreasing your performance, and most of them aren't necessary. Finally, you're still using the older PCSX2 version from your other post. (01-20-2018, 03:14 AM)CK1 Wrote: Why do you have every hardware hack enabled? That's going to end up decreasing your performance, and most of them aren't necessary. Are you still having trouble upgrading to 1.5? You need to use OpenGL renderer and begin with no hacks, and enable them as needed(less is more). (01-20-2018, 03:19 AM)FlatOut Wrote: You need to use OpenGL renderer and begin with no hacks, and enable them as needed(less is more). You still need to use OpenGL to fix most of the issues. Just use 2x native instead of 4x and it should be okay. (01-20-2018, 03:18 AM)CK1 Wrote: Are you still having trouble upgrading to 1.5? well u said i should only update the latest daily build right? noway that includes everything from the last 2 years? 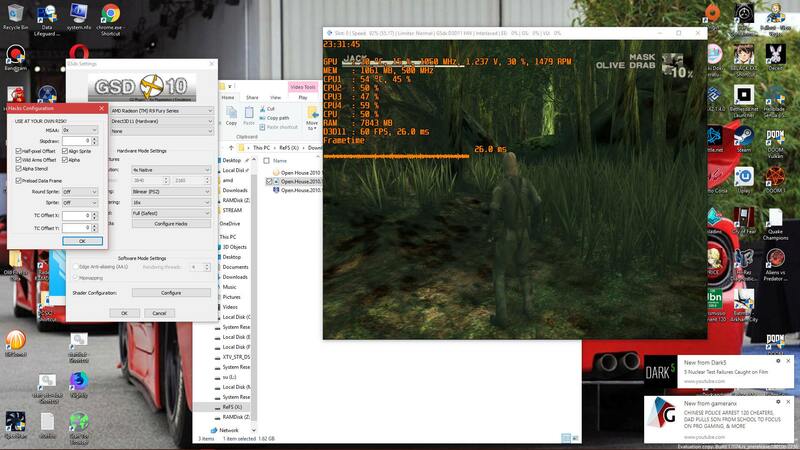 (01-20-2018, 03:21 AM)FlatOut Wrote: You still need to use OpenGL to fix most of the issues. Just use 2x native instead of 4x and it should be okay. where did you see this ?